Many elderly people are turning to a Ridgefield, CT elder care law firm they can trust. Healthier lifestyles and advanced medical discoveries are now allowing people to live longer, mostly healthy lives. Unfortunately, just by virtue of your advancing age, you may be more susceptible to illnesses such as dementia and Alzheimer’s. Dementia sufferers will ultimately lose their cognitive abilities, memory, and language functions. That is why it is so important to get legal documents set up while the individual still understands exactly what they are crafting and signing. It is illegal to create a valid will or a power of attorney when you are not of sound mind. Sound mind means the signer must be able to act of their own free will, understand what they are signing and ramification of their choices. An elder care law firm in Ridgefield, CT can assist with these documents. What are the advantages of a living trust for the elderly? Though a will is a common way to dictate one’s final wishes, it is not the only way to do so, and is not always the best method, as our living trust lawyer at Sweeney Legal, LLC might suggest. It all depends on the individual’s circumstances, including the overall value of their assets. The most appropriate estate planning tools for someone will depend on their needs while they are alive, and their wishes for what will happen after their passing. 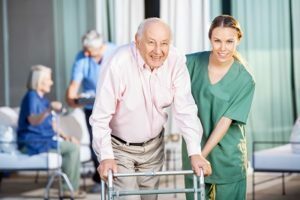 This is why it’s important to meet with a living trust lawyer from an elder care law firm that Ridgefield, Connecticut trusts to learn what approach will work best for you. Sweeney Legal, LLC can also suggest alternatives or supplementary estate planning options in order to provide you with an optimum solution. Call us for a free consultation with our living trust lawyer to learn more about this. How can a living trust be of benefit to the elderly? Though your assets will be placed into the living trust while you are still alive, you can still benefit from those assets. After your passing, the assets will transfer to your designated beneficiaries. The person who will be responsible for overseeing and handle the transfers as per your instructions is referred to as the successor trustee. In this way you can access your assets as needed but they will go to your heirs upon your death. A living trust enables your heirs to avoid probate. By contrast, having a will does not allow them to avoid this often costly and time-consuming process unless the total asset value is very low and other criteria are met. Probate lasts years in some cases, but with a living trust in place, your heirs could receive your assets in a few weeks. Your living trust lawyer from Sweeney Legal, LLC can help you determine if creating a living trust makes more financial sense than writing a will. Initially, it may cost more as setting it up covers many possible contingencies as well as the transfer of your assets. However, there may be significant tax savings for yourself as well as for your heirs, not to mention the savings from avoiding probate, including court costs. If, after your passing, someone contests the validity of your will, and a judge agrees with them, your assets may not be distributed as per your final wishes. On the other hand, a living trust is more difficult to contest and so it is less likely that there will be an outcome that you do not desire. What Documents Need to Be in Place? This document allows someone you trust to administer your financial assets in the event you are not able to do so. The power of attorney can begin at the time the document is executed or at a time when a doctor confirms that it is necessary. A lot of people trust the individual they select and make the power of attorney relevant at the time the document is created, assuming the person won’t activate that power unless absolutely necessary. The durable power of attorney is a good document to have in place for many reasons. If you are ill and have to be in the hospital, the person you select to be the agent of the DPOA can handle your finances by paying bills, transferring funds, etc. The most important part of the DPOA is if you suffer from dementia or Alzheimer’s, there is someone you trust acting as your voice and caretaker of your finances. Living Will — The living will is the specific document that details your care as you approach the end of your life and you are unable to make decisions for yourself. The living will discusses medical treatments and pain medications as well as surgery, feeding tubes, resuscitation (do not resuscitate requests), ventilators, etc. You can go into as much or as little detail as you like. Health Care Power of Attorney — This power of attorney gives someone you can trust the ability to make decisions on your behalf and carry out the directives in your living will. This person will be allowed access to your medical records. Other documents you should have in place while your mental capacities are intact are a living trust, will, and selection of your beneficiaries in your life insurance policies, bank accounts, investment accounts, etc. This is the best way to insure your wishes will be carried out should there come a time when you are not able to make sound decisions for yourself. For more information and assistance, contact an elder care law firm Ridgefield, CT clients trust from Sweeney Legal, LLC.